In response to your questionnaire, I found your company through the internet and was very impressed by your quick return to my request for a quote. Scott really made me feel welcome and, although he had to re-quote on two order occasions due to adjustments to our inventory he responded in a very quick and professional manner. The move on behalf of my daughter and her family went off without a hitch always keeping me informed as to dates and timings. My wife and I are in the process of selling our house and will certainly use your company again. Terry. M. Removalists Newcastle to Gold Coast. As one of the best backloading furniture removalists Newcastle to Gold Coast we can collect in Newcastle 6 days a week, at the best rates. Moving long distance from Newcastle to Gold Coast is unquestionably challenging - which is why you need our removalists to help. 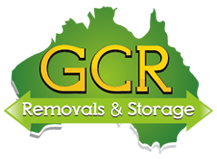 We will remove the pain from your move and make it stress-free and easy. Get quotes from our removalists Newcastle to Gold Coast today! Backload removals Newcastle to Gold Coast are usually done in moving trucks rather than specially designed furniture shipping containers. It is normally cheaper with removals from Gold Coast to Newcastle as less people move in that direction so the prices are cheap to keep the removalists trucks full. Interstate furniture removals to Gold Coast from Newcastle with the best moving trucks. Moving from Newcastle to Brisbane? Give us a call! 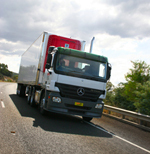 Interstate backloading removals services from Gold Coast to Newcastle weekly.